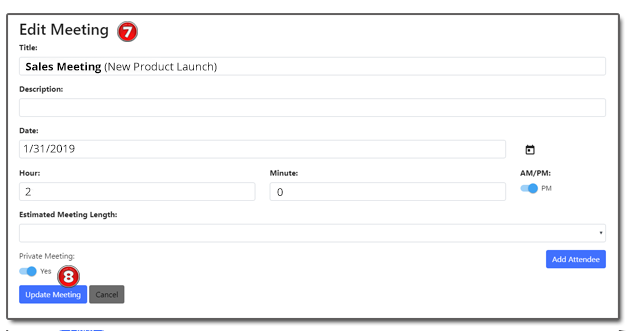 From the Meetings Dashboard, click on the Up coming Meetings Button. 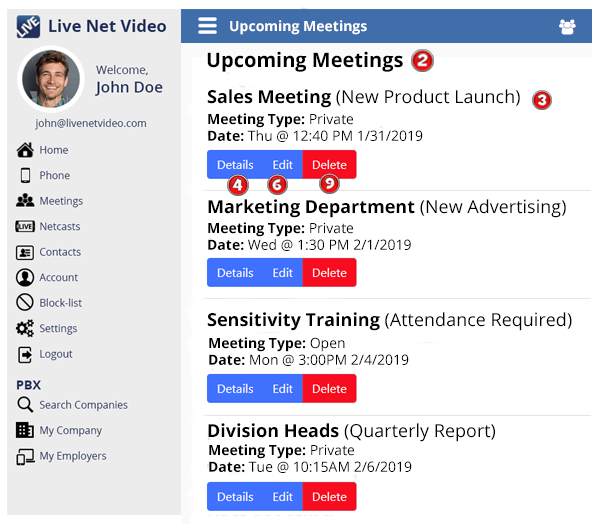 The Upcoming Meetings Screen will open. This screen displays all meetings scheduled in the future. The screen displays the Title of the Meeting, the Meeting Type, Day and Time of the Meeting. To view the details of the meeting, click on the Details Button. A Detailed page of the Meeting will be displayed. To edit a specific meeting, click on the Edit Button. The edit meeting screen will be displayed. From this screen you can edit any information about the meeting. 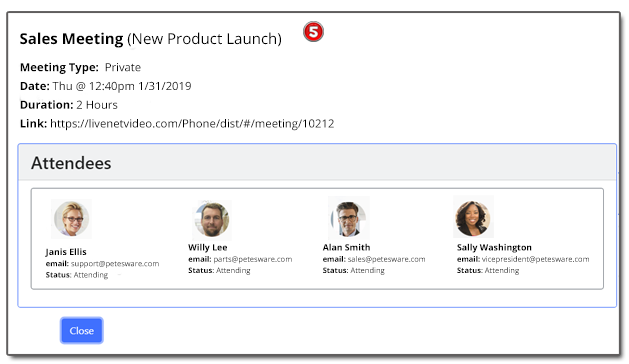 Once you’re finished making any changes to the meeting, click the Update Meeting Button. To delete a meeting, click on the Delete Button. 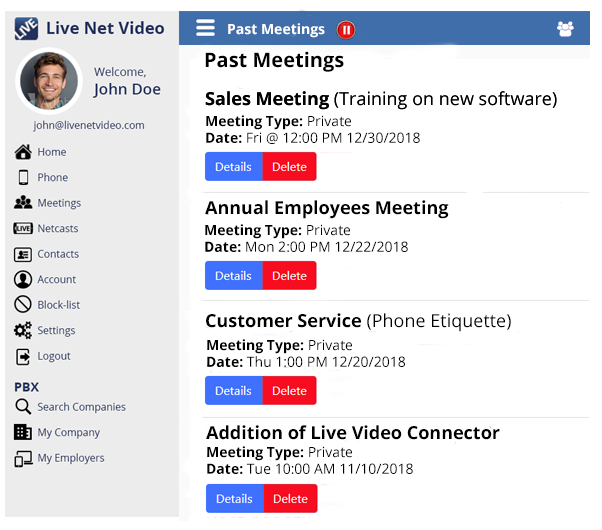 Live Video Meeting allows you to keep a list of past meetings for reference. To view a list of past meetings, click on the Past Meetings Button from the Meetings Dashboard. 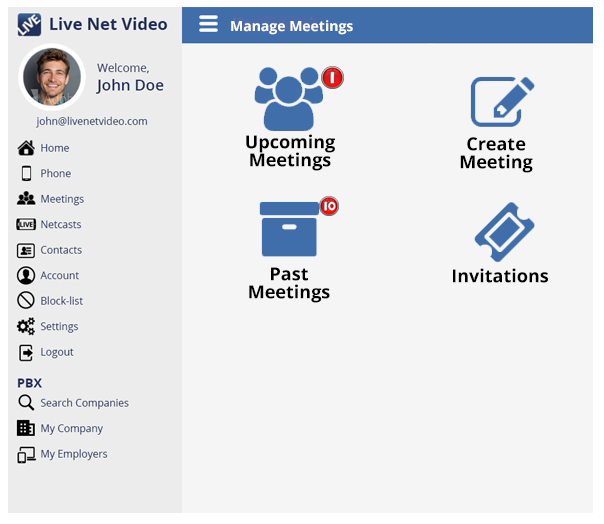 The Past Meetings screen will display.